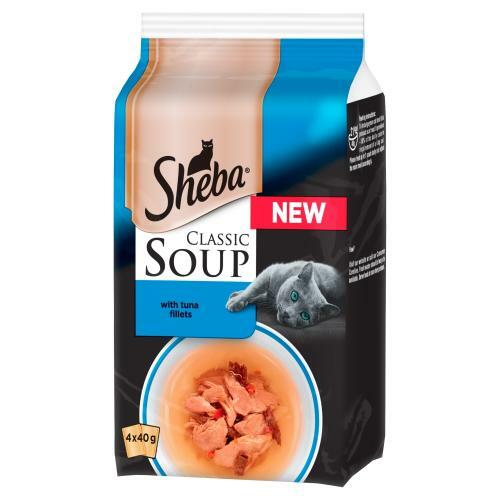 Sheba Classic Soup Pouches with Tuna Fillets Adult Cat Food is a delicious recipe of delicately flaked tuna fillets in a smooth, silky cat food soup - a real treat for your feline friend! To indulge your cat feed this product as a treat. It provides approximately 10% of the daily calorie requirement of a 4 kg cat. Please feed up to 1 pouch daily and adjust the main meal accordingly.